Brazilian Jiu Jitsu is one of the most effective martial arts in the world. Focusing on grappling and ground fighting, it is based on the use of leverage and fundamental movements rather than size and strength, making it a beneficial activity for everybody - children, men and women . We understand that for most people, the hardest part is getting started. Just walking in the front door of a martial arts school for some can be intimidating. Due to previous experiences, or pre-conceived ideas of what it going to be like, they put off joining a martial arts program until they eventually talk themselves out of it. At SBG Niagara, we created an environment in our gym that eliminates these issues and more. From the non-traditional, relaxed friendly atmosphere, to the welcoming nature of our coaches and members, and the overall “we appreciate you giving us the opportunity to show you our gym" vibe, you'll feel comfortable and secure in the fact that you are welcome, will not be taken advantage of and are being trained by fully qualified world class coaches. "Coach Rich was very welcoming and inviting as were his students. Thank you for being a great human being, very friendly, didn't worry about politics or where I came from. Just was excited to meet a new friend. I will definitely be back for another open roll sooner rather than later." 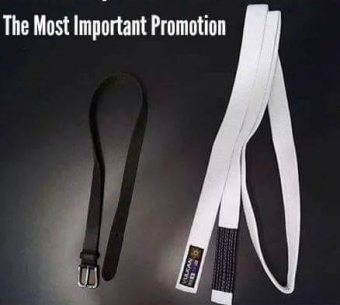 We truly believe our Brazilian Jiu Jitsu Program will help change peoples lives. Our Absolute Beginners Foundations Program teaches new members the fundamentals of the art in an organized and structured curriculum, making it easy and fun to learn. And we have made it very easy and comfortable to get started with St.Catharines and Niagara Regions most respected Brazilian Jiu Jitsu Program. Just fill out the form on the right hand side of this page to start YOUR “Quick Start Trial Offer", and get on your way to a better you!